Crowds gather for the Gallia Junior Fair’s entertainment. Little Texas brings the rock and roll to the Holzer Main Stage, last year. Hammer in hand, a young girl shows what she’s made of swinging a hammer down on a high striker game. A few children spend some time swinging by during the fair. Families fly by as they spend a Thursday fair night on rides. 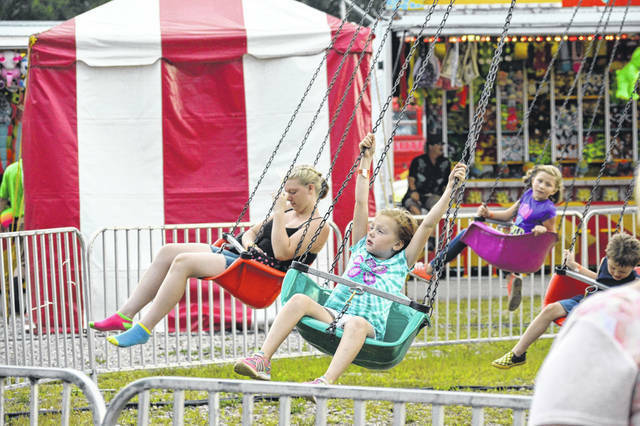 GALLIPOLIS — The Gallia County Fair returns on Monday, July 30, with the 69th annual Opening Day. Activities continues at the fair grounds on Jackson Pike through Saturday, Aug. 4. Opening day, which is also Gallia County Night, will feature the beginning of the animal shows, as well as the official opening ceremony and the royalty contests. The official opening will take place at 6 p.m. at the Holzer Main Stage. Included in the opening ceremony will be the presentation of the colors by VFW Post 4464; the National Anthem by the South Gallia High School Band; invocation by Jonathan McAnulty, minister at Chapel Hill Church of Christ; introduction of dignitaries by Tim Massie; and the welcome address by President Danella Newberry. The opening ceremony will be followed by the Little Miss and Little Mister contests and the Gallia County Fair Queen Pageant. On the pull track Monday evening will be Championship Rodeo.Earlier in the day, Monday, will be horse and swine shows, with Boy Scout and Girl Scout Awards to take place as well. Tuesday evening on the pull track will include the four-wheel drive truck pulls. Tuesday at the fair will be Religious and Senior Citizens Night, featuring musical performances by The Jordan Family Band and Hollyn. On Wednesday, the beef breeding show will begin the day, with the sheep showmanship and market lamb shows later in the day in the show arena. The horse costume contest and cowboy polo will take place in the horse area. Thursday at the Gallia County Fair will include the steer show, dairy show, and the feeder calf and dairy feeder show in the show arena. The Kiwanis Youth Program will take place at 12:30 p.m. at the Holzer Main Stage. The program will include games of balloon bursting, bubble gum blowing, watermelon eating and many more. A demonstration by the Gallia County Sheriff’s Office K-9 Unit will take place following the games. Later in the day will be Cloverbud Graduation at the Gray Pavilion and the Horse Fun Show in the Horse Arena. Friday will begin the annual market livestock sales with the market hog sale at 9 a.m.
Also on Friday will be the Pretty Baby Contest at 10 a.m. on the Holzer Main Stage. Holzer Health Systems will be presenting the small animal awards and the activity building awards at the Gray Pavilion. The OSTPA Sanctioned Tractor Pull will take place on the pulling track, while The Sheppard Brothers Bluegrass Band will perform on the Holzer Main Stage. The always popular demolition derby will take place on the pulling track on Saturday evening with categories for power wheels, lawn mowers, mini cars, mild weld and smash-it. 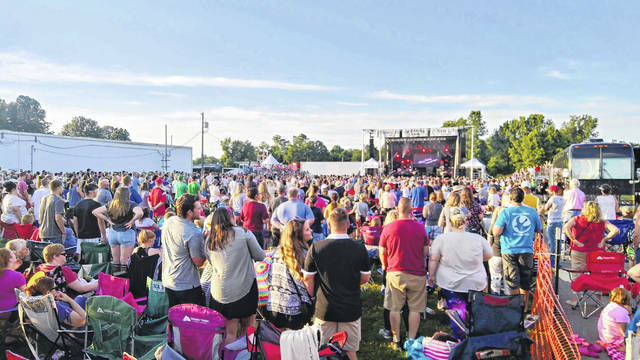 https://www.mydailysentinel.com/wp-content/uploads/sites/14/2018/07/web1_33950.jpegCrowds gather for the Gallia Junior Fair’s entertainment. 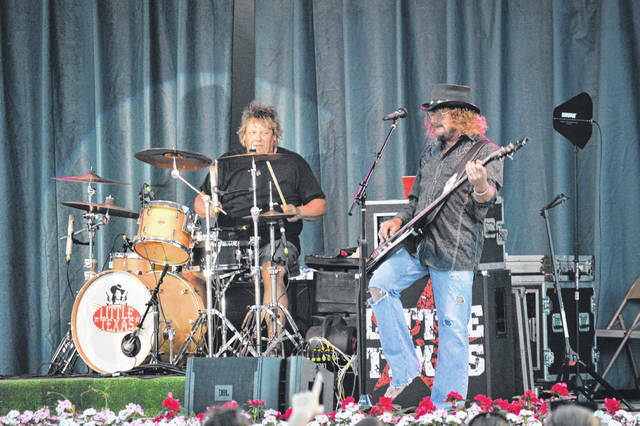 https://www.mydailysentinel.com/wp-content/uploads/sites/14/2018/07/web1_DSC_0209.jpgLittle Texas brings the rock and roll to the Holzer Main Stage, last year. https://www.mydailysentinel.com/wp-content/uploads/sites/14/2018/07/web1_DSC_0986.jpgHammer in hand, a young girl shows what she’s made of swinging a hammer down on a high striker game. 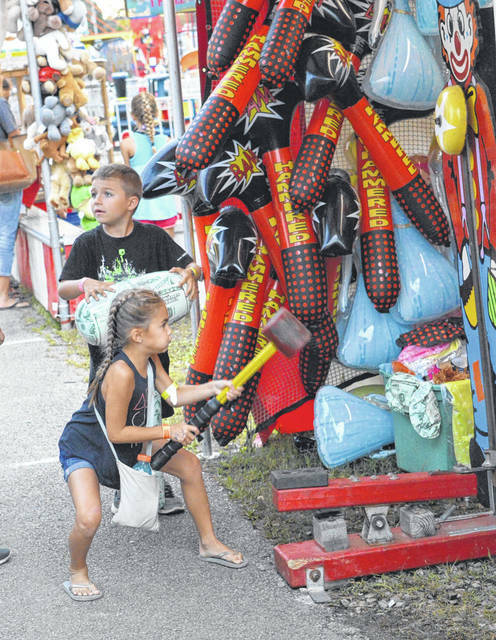 https://www.mydailysentinel.com/wp-content/uploads/sites/14/2018/07/web1_DSC_0832.jpgA few children spend some time swinging by during the fair. 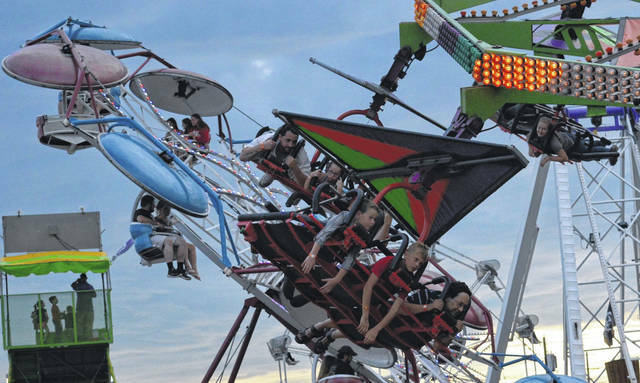 https://www.mydailysentinel.com/wp-content/uploads/sites/14/2018/07/web1_DSC_0950.jpgFamilies fly by as they spend a Thursday fair night on rides.